I am currently working on a project on language and landscape in Chatino supported by the National Science Foundation. The goal of this project is to produce the first systematic analysis of place names in the Chatino language of San Juan Quiahije, Oaxaca, Mexico, along with a corpus of audio, video, and mapping files that will ground collective and individual memories of local landscape in examples of speech. My fieldwork involves close collaboration with native-speaker consultants who are familiar with geographic landmarks such as ritual areas, mountains, rivers, paths, and plants. 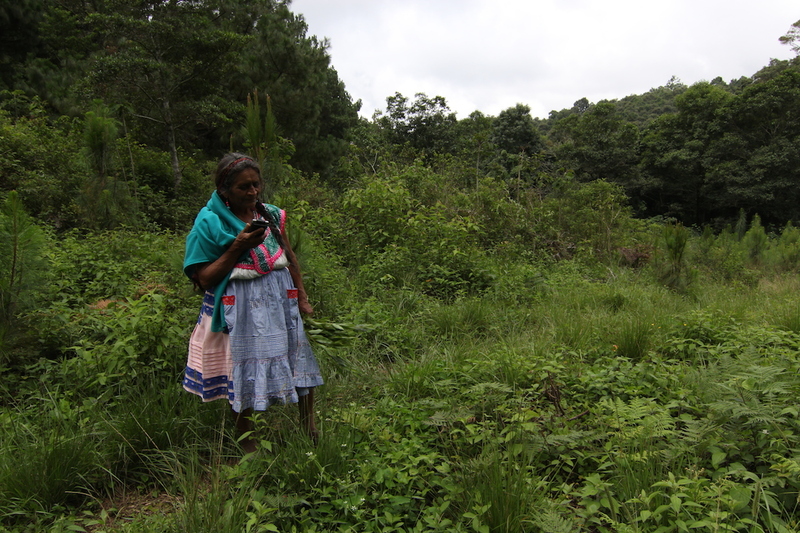 All results will be deposited into he Archive of Indigenous Languages of Latin America (AILLA), and will provide an important resource for understanding the structure of the Chatino language and the connection between linguistic and anthropological approaches to language. I am organizing the The Tone Workshop for Otomanguean languages, which has been held every summer since 2012. This workshop brings together researchers from the US and Mexico, and is primarily aimed at speakers of tonal languages working on educational and cultural projects. The workshop is organized by the University of Massachusetts Amherst, the INALI, and the Juan de Córdova Library, with the participation of leading researchers from UNAM, CIESAS, the College of Mexico, the University of Massachusetts at Amherst, and the University of Texas at Austin . I am also organizing the first Pedagogical Grammar Workshop for Otomanguean languages. This is the next step after three years of the Tone Workshop, and empowers indigenous speakers to document and preserve their native languages. i) Bring together speakers of different Otomanguean languages and expose them to the different academic and educational texts that exist for each variety. ii) Present speakers with the models and theories to be considered in the process of drawing up pedagogical grammars. iii) Finally, for speakers to produce a pedagogical grammar for their own language. A fourth project is the Chatino Language Teacher Scholarship Initiative, which I established as part of the Chatino Language Documentation Project (CLDP). This initiative creates a financial incentive for trained community linguists in Oaxaca, Mexico to teach speakers how to write their own languages. All are young women who have a lot of enthusiasm for sharing what they know about their language. Their role is crucial to the revitalization of Chatino languages in the region.